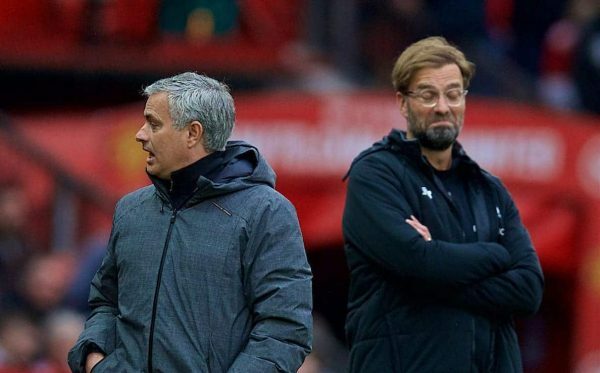 Some sections of the media and rival fans have claimed Jurgen Klopp is under pressure to deliver the title after spending big in the summer – but is that really the case? 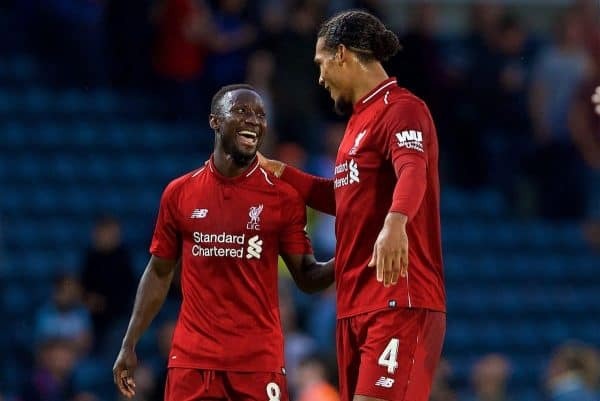 Following an impressive summer transfer window, four straight wins in the Premier League have intensified talk of Liverpool’s title credentials this season. An emphatic opening day victory saw the Reds get off to a flying start, thrashing West Ham 4-0 at Anfield in typically swashbuckling style. It felt like a first tantalising glimpse of the scintillating attacking football this Liverpool side could produce this season. 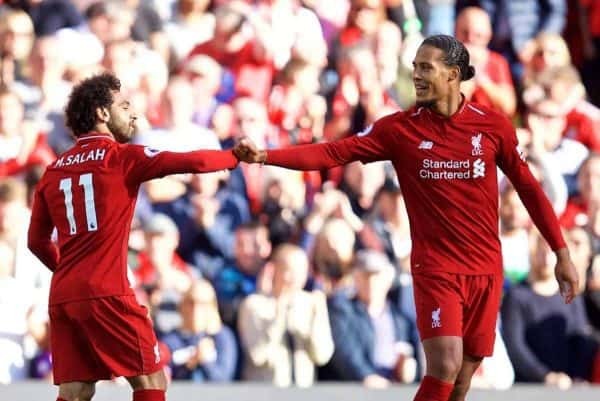 However, following a gritty and hard-fought 2-0 win at Crystal Palace, the subsequent two narrow victories against Brighton and Leicester saw Liverpool’s much-vaunted front line significantly subdued, far from their free-flowing and devastating best. 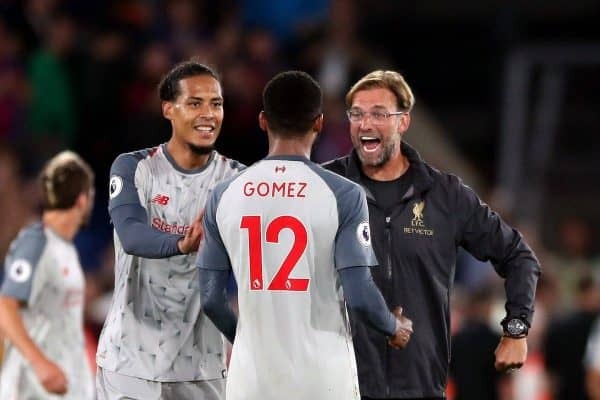 Instead, it has been the defence which has been the standout feature of these performances, with Liverpool digging in to grind out the points while hardly getting out of first gear. Naturally, with maximum points heading into the international break despite not reaching anywhere near this side’s full potential, this has only further fuelled hopes and expectations of a genuine title tilt for Liverpool. Where, though, is the so-called “pressure” coming from- and should failing to win the league really be classed as failure for Jurgen Klopp? The notion of there being some kind of great pressure on Klopp to deliver No.19 appears to be a narrative largely driven by opposition fans and the media, as opposed to within the Liverpool fan base. It’s abundantly clear that Liverpool have taken enormous strides under Klopp’s management, and have re-established themselves among Europe’s elite. Having lost three cup finals in recent years, the wait for silverware still continues, but there should be no questioning the vast progress made in that time. Despite the scrutiny surrounding Klopp’s shift in transfer policy over the past 12 months- with the likes of Virgil van Dijk, Naby Keita and Alisson all recruited for hefty fees- and Liverpool’s perceived heavy spending this summer, Klopp’s rebuild has been achieved with an average net spend of just £42 million per season throughout his tenure thus far. 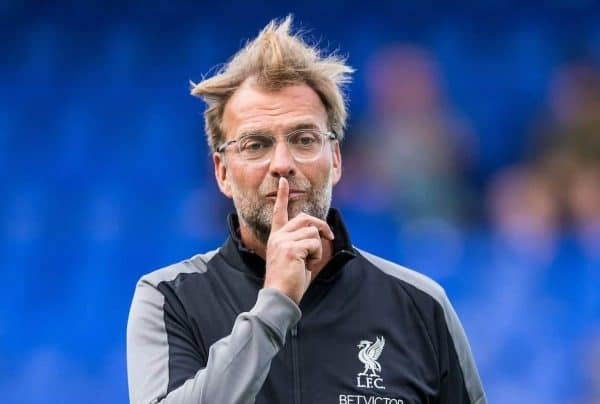 In fact, since Klopp’s arrival in October 2015, Liverpool have only the 5th highest net spend in the league (£126m), with both Manchester clubs miles ahead in that department (City £404m; United £320m), and Chelsea (£208m) and Arsenal (£162m) still with a higher net spend than Liverpool in that time period. Tottenham are the exception, with a remarkably low net spend of £45m in this time frame, and have thus overachieved under Mauricio Pochettino to a significant degree. Even if total- rather than net- expenditure is taken into account, Liverpool are still only 4th on the list over the past five seasons, with a total expenditure of £608m on incoming transfers since the 2014-15 season, behind Man City (£779m), Man United (£677m) and Chelsea (£675m). Arsenal are 5th in the list, with a total expenditure of £407m in that time, but have recouped just £142m- versus Liverpool’s £428m worth of player sales- in the same period. Given that Liverpool therefore rank 5th in the league for net spending over the past five seasons- and since Klopp’s arrival- in financial terms, Liverpool are actually punching above their weight- and to be considered serious title contenders this season is a reflection of the remarkable job Klopp and the transfer team have done to outperform their rivals- in relative terms- given the comparative transfer spending figures. Where have Liverpool’s funds been generated from? While it is true that Liverpool spent more than any of their main rivals over the summer transfer window, this was a significant exception to the general rule over the past five years. The £75 million purchase of Van Dijk in January- along with the £67 million purchase of Alisson, and numerous other deals topping the £35 million mark- are a reflection of Liverpool’s growing ambition to pay the necessary asking price in a hyper-inflated transfer market, now allied by a pulling power which means that top players now see Liverpool as an attractive destination once more. It isn’t as though this money has all been injected out of nowhere from an outside source- Liverpool’s increased spending of late has been a product of continued and sustained growth in recent years. Finishing top four last season reportedly banked Liverpool a total of £145.9m- and having done so in back-to-back seasons now, it further enhances the club’s reputation for proposed transfer targets who want to be playing regular Champions League football. Indeed, by reaching the final of last season’s Champions League, Liverpool pocketed in the region of £70 million for their endeavours in Europe, taking the total prize money from the Premier League and Champions League to around £216 million over the course of the 2017-18 season. Add on top of that the £142m fee agreed with Barcelona for Philippe Coutinho– albeit, constructed with an initial fee of £105m with the rest in add-ons- Liverpool’s spending has been the reward yielded by carefully planned growth and effective management of financial resources. 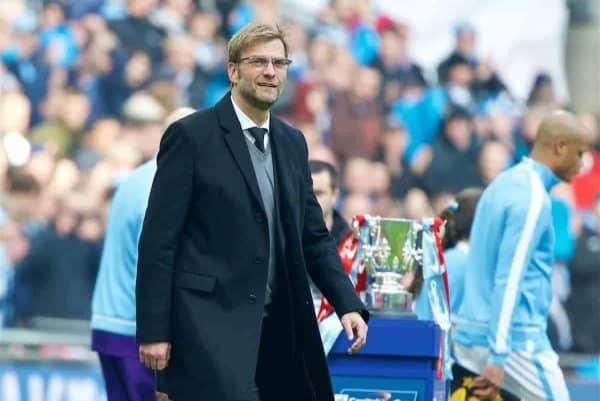 While there remains a proverbial monkey on Klopp’s back to deliver a piece of silverware this season, a solitary domestic cup triumph would not necessarily equate to a successful season. He came within a penalty shootout of achieving that within his first few months at the club, losing the League Cup final on penalties against Man City. Winning that competition would have made scant difference to the overall project Liverpool have embarked upon under Klopp, and the reality is that finishing in the top four in consecutive seasons was the key to unlocking the potential for further growth and better signings. Of course, every Liverpool supporter is desperate to see Klopp win the league – and naturally, there are big hopes and expectations for what this side can achieve this season, with the strongest squad the club have had in years. However, any notion that Liverpool’s recent spending should put them under great pressure to deliver should be juxtaposed with the wider financial context with respect to Liverpool’s rivals. If anything, Klopp has overperformed so far given the resources available. The fact that Liverpool are now considered to be potentially serious title challengers- and able to dine at the top table of the transfer market- is merely a by-product of what he has achieved so far. Liverpool’s transfer record under Klopp has generally been extremely successful, with the vast majority of new recruits turning out to be either resounding success stories, or at least very useful additions to the squad. While Man United place 2nd on the list of net spending and total expenditure over the past five seasons- and since Klopp’s arrival- their scattergun approach to transfers is in sharp contrast to Liverpool’s in recent years, with the likes of Memphis Depay, Angel Di Maria, Henrikh Mkhitaryan, Radamel Falcao, Bastian Schweinsteiger etc. all recruited as high profile figures with high transfer fees or wages, but to very little avail on the pitch. Liverpool deployed a similarly disorganised and ineffective strategy, albeit at a lower financial level, under Brendan Rodgers and the ‘transfer committee’ of old, with numerous signings brought in using the funds raised from the sales of Raheem Sterling and Luis Suarez – many of whom struggled to make an impact and were swiftly shipped on. Under Klopp, however, and with Michael Edwards as sporting director, Liverpool’s spending has been focused on long-term targets, streamlined with a clear strategy underpinned by the manager’s vision, which has been fully backed by FSG. Unlike Man United or Man City, Liverpool cannot afford to gamble extortionate transfer fees on multiple targets who may or may not work out. The likes of Van Dijk, Keita and Alisson were pursued over a prolonged period of time, with an enormous degree of patience in order to eventually secure their signatures. These players were pinpointed as the best possible candidates to fulfil specific roles in Klopp’s system, and the necessary funds were supplied by FSG to meet the respective asking prices of the selling clubs. While total and net expenditure can provide a picture of which clubs have the most financial power and should therefore be expected to back that up with results on the pitch – as Man City have done under Pep Guardiola – crucial to Liverpool’s recent progress has been smart decision making off the pitch, underpinned by an effective and harmonious unit between manager, sporting director and the owners which enables them to compete with rivals on comparatively superior resources.